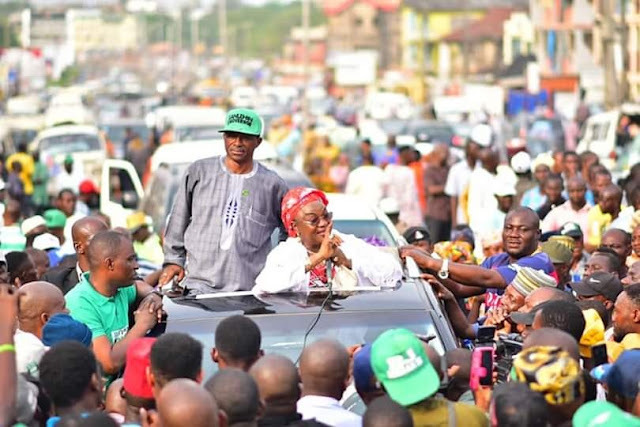 Chieftains of Oyo ADC decides to hold a rally for Oyo ADC gubernatorial Candidate to welcome him from Abuja.Lanlehin said he went to Abuja to fill in the necessary forms that facilitated his being officially documented as the governorship candidate of the party, assuring party members that the anxiety over his nomination had been paid to permanent rest. On the issue of running mate, Lanlehin, whose was driven from Ibadan Airport in a long motorcade traversing Gate, Ojere, Beere, Molete to Samonda, said the leaders of the party would meet and resolve the matter and unveil his running mate. Reminded that his co-contestants were still aggrieved about his emergence, Lanlehin, who represented Oyo South district between 2011 and 2015, assured party faithful that he was in fruitful discussion with them, adding that all disagreement would be over soon.